In this innovative volume, Maria Lúcia Pallares-Burke examines the nature of the so-called ‘new history’. In conversation with nine leading scholars associated with the movement, Pallares-Burke investigates the new approaches to the writing of history. In a series of interviews, Asa Briggs, Peter Burke, Robert Darnton, Carlo Ginzburg, Jack Goody, Daniel Roche, Quentin Skinner, Keith Thomas and Natalie Zemon Davis are questioned about their major works and their relation to other key historians and theorists. Urging each historian to justify their methods and to reflect on their intellectual trajectory, Pallares-Burke tries to make explicit the experiences and ideas that are otherwise implicit in the historian’s work. The interviews probe the historians’ personal and intellectual background and offer fresh insight into the possibilities, problems and preoccupations of contemporary historical practice. The result is a lively and illuminating book that will appeal to both students and scholars. Maria Lúcia G. Pallares-Burke was formerly Professor at the University of São Paolo, she is now attached to the Centre of Latin-American Studies at the University of Cambridge. Chapter 3: Natalie Zemon Davis. "If history is the latest new rock'n'roll (at least on TV), then what's really rocking in the discipline itself? In this engaging set of interviews with past masters, a Brazilian historian asks world-ranking figures about their careers and ideas." 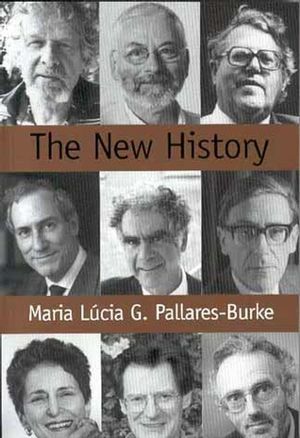 "Scholars are self-effacing by vocation, but Maria Lúcia Pallares-Burke leads some of the world’s most influential historical thinkers into enthralling revelations. We hear Jack Goody – the greatest and most under-appreciated living British intellectual – bemoaning the obscurity of his own ideas, and Quentin Skinner self-condemned as a “local historian”. We learn what it was like for Peter Burke to face temptation in Singapore, Natalie Davis to survive McCarthyism, Keith Thomas to encounter voodoo. The interviewees engage in fascinating implied dialogues with each other. Among surprising recurrent themes – Marxism, Brazil – two lessons ring through: the need for a comparative approach to history and the value of what Peter Burke calls “soft cultural relativism”." "Professor Maria Lúcia Pallares-Burke is a perceptive and well-prepared interviewer of nine prominent social and cultural historians for[this book,] which first appeared in her native Brazil." Features detailed conversations with nine internationally renowned historians: Asa Briggs, Peter Burke, Robert Darnton, Carlo Ginzburg, Jack Goody, Daniel Roche, Quentin Skinner, Keith Thomas and Natalie Zemon Davis. Offers an engaging and helpful entry point into the study of the ‘new history'. Examines the contemporary role and place of history and the historian. Makes explicit the experiences and ideas that are otherwise only implicit in historians' work.